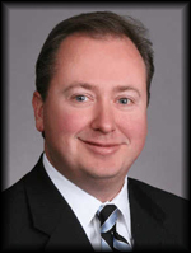 Serving the Naperville area, Stephen provides the personalized investment guidance you need to help make your financial goals a reality. Using a personalized, one-on-one approach, Stephen works closely with you to develop an investment plan that works for your unique objectives. Stephen resides in Naperville and is involved in the community. He enjoys golf,volunteering his time to various charitable organizations,and spending time with his family. Stephen focuses on the needs of affluent and high net worth families, professionals and business owners. He provides tailored solutions coupled with the support of highly credentialed professionals to manage his clients wealth through the generations. His relationship-driven approach allows him to translate clients' priorities and family dynamics into successful long term plans. His professional experience includes Financial Planning, Insurance Planning, Investment Planning, and Retirement Planning. Stephen graduated from Illinois State University with a Bachelor of Science degree in AgriBusiness and continued his professional education at DePaul University.